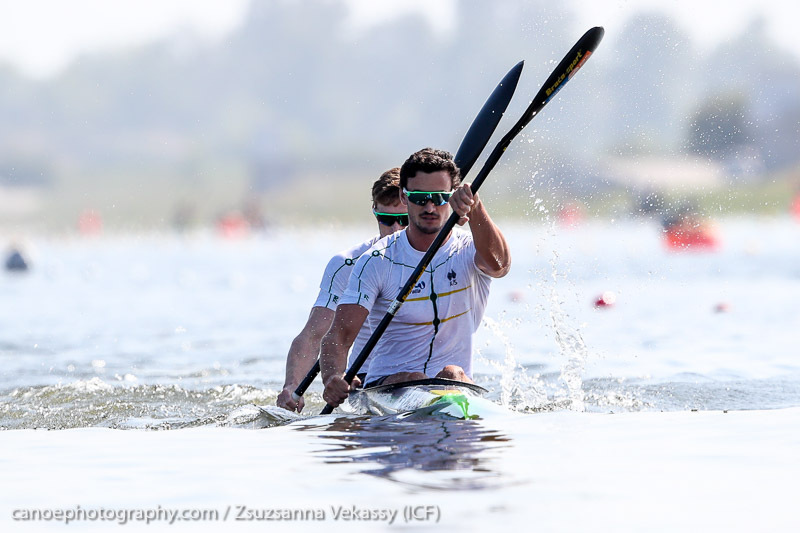 The Australian men’s K4 500 team have shown they are a genuine Tokyo Olympic medal prospect after a fighting fourth at the 2018 ICF Canoe Sprint World Championships in Montemor-o-Velho on Sunday. 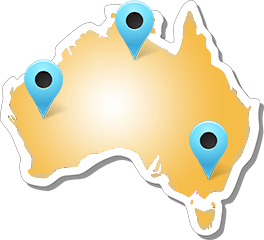 The team of Riley Fitzsimmons (NSW), Thomas Green (QLD), Murray Stewart (NSW) and Jordan Wood (QLD) have had very little international experience together and had a disrupted preparation, but put together a tough race to finish just outside the medals. The men’s K4 500 replaced the men’s K4 1000 on the Olympic program and will premier at the Tokyo 2020 Olympic Games. “This was the first time I’ve raced the K4 500 at an international race, so I feel like we are all novices really,” dual Olympian and London 2012 gold medallist in the men’s K4 1000 Murray Stewart said. “It’s been a bit of a growth experience, we’ve raced this race three times now and each time we’ve got a bit better. Green said it was a great thrill to race alongside three Olympians. 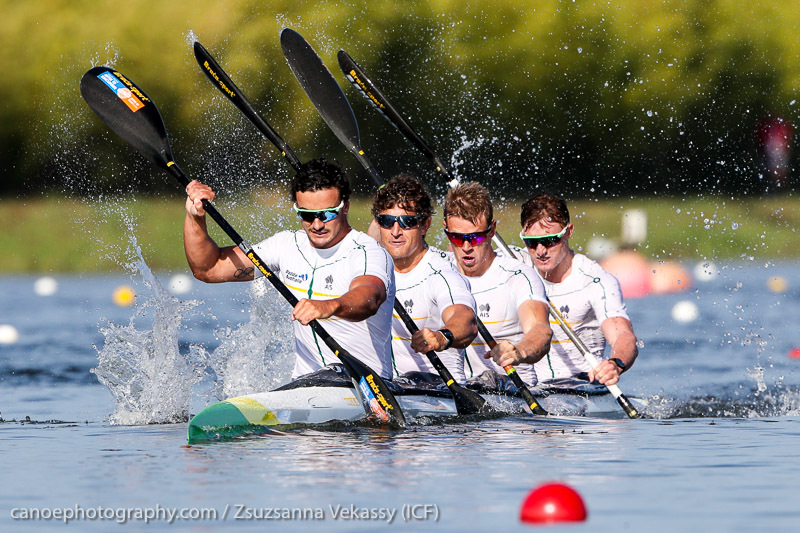 It was the first Senior World Championship for the youngster on the Canoe Sprint Team, who is only 19-years old and re-joined the Senior Team after winning a gold medal in the K2 1000 together with Joel McKitterick (QLD) at the U23 Canoe Sprint World Championships at the end of July. The women’s K4 with Rio Olympians Alyce Burnett (QLD), Alyssa Bull (QLD), London Olympian Jo Brigden-Jones (NSW) and Jaime Roberts (WA) put in a great performance in the preliminary races coming fifth in their heat and winning their semifinal, but had to do with a seventh place in the final. 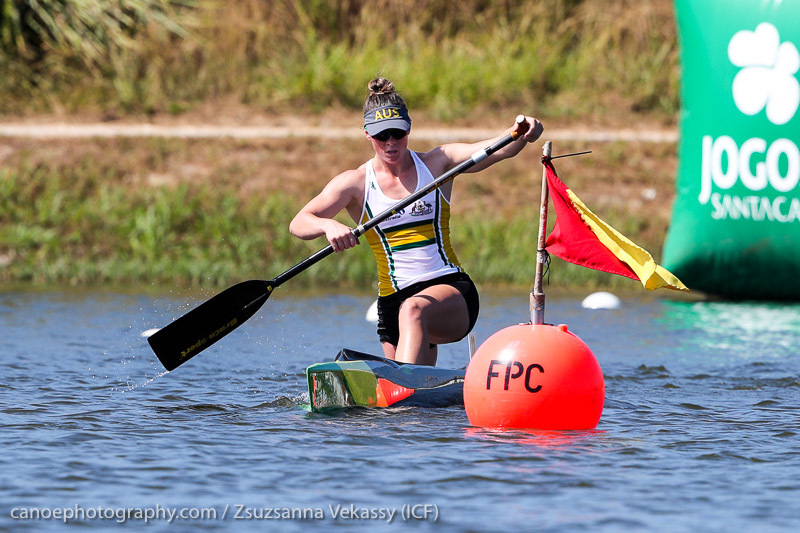 In other results, Stephen Bird (WA) finished second in the B final of the men’s K1 200, while Cat Mcarthur (SA) finished seventh in her K1 200 and just missed the B final. Jordan Wood and Riley Fitzsimmons suffered a missed stroke in their K2 500 semi. Josephine Bulmer was 11th in the C1 5000, while McArthur was 17th in the K1 5000. Riley Fitzsimmons also concluded the World Championships with a race in the K1 over 5000 and finished 15th. In the Olympic events earlier in the week, Riley Fitzsimmons and Jordan Wood finished a close fourth in a photo finish in the men’s K2 1000, while Alyce Burnett finished seventh in her first senior final in an Olympic-class K1 field, the women’s K1 500. With his disrupted preparation due to illness Murray Stewart had to settle for ninth in the K1 1000 final. “The team finished off a strong World Championships with some very encouraging performances from a young and continually improving team. 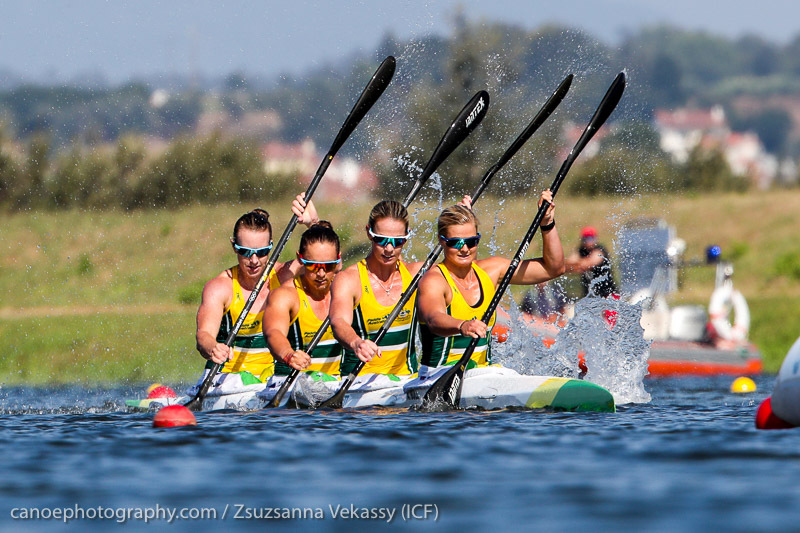 “Overall, the team made A-Finals in all Olympic events, apart from the 200m events, which is a terrific platform to build upon ahead of the Olympic qualification year,” Paddle Australia’s National Performance Director Shaun Stephens said at the conclusion of the 2018 ICF Canoe Sprint and Paracanoe World Championships (22-26 August 2018). “We know we have the athletes to deliver medal performances in Tokyo and this year’s Worlds was a great stepping stone to achieve that objective. Whilst we came home empty handed, with two years to go to the Tokyo Olympic Games, there is plenty of confidence in knowing that our young team are very close to podium performances and still have plenty of room for improvement,” Stephens added. The 2018 Paracanoe World Championships already wrapped up on Saturday with all of Paddle Australia’s paracanoeists in the finals and Australia finishing in third place on the overall medal tally behind Great Britain in first and Ukraine in second. Two gold medals for Rio 2016 Paralympic champion Curtis McGrath (QLD) were the highlight of the event with McGrath winning both the men’s KL2 and VL3 and bringing his world champion title tally to eight. Rio 2016 silver medallist Amanda Reynolds (VIC) won silver in the women’s KL3. “The paracanoe team continues their outstanding international track record and Curt McGrath was inspirational once again and proved he is one of Australia’s greatest Paralympic athletes, Stephens said about the performance in the Paralympic events. 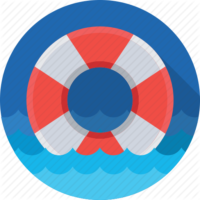 “Curt was reclassified to a higher classification in the Va’a event in March, yet still managed to win this event along with the KL2 200 event. With both events now Paralympic events, he’s managed to stay ahead of his international competitors. “And AJ (Amanda Reynolds) was superb. To finish with a silver medal from limited preparation after sustaining a debilitating wrist injury earlier in the season demonstrates that she is a world class athlete and has more to prove over the next two years,” Stephens added with the weekend marking two years to go to the Tokyo 2020 Paralympic Games.